Someone explain to me how beautiful flowers like these grow from what appears to be solid rock. 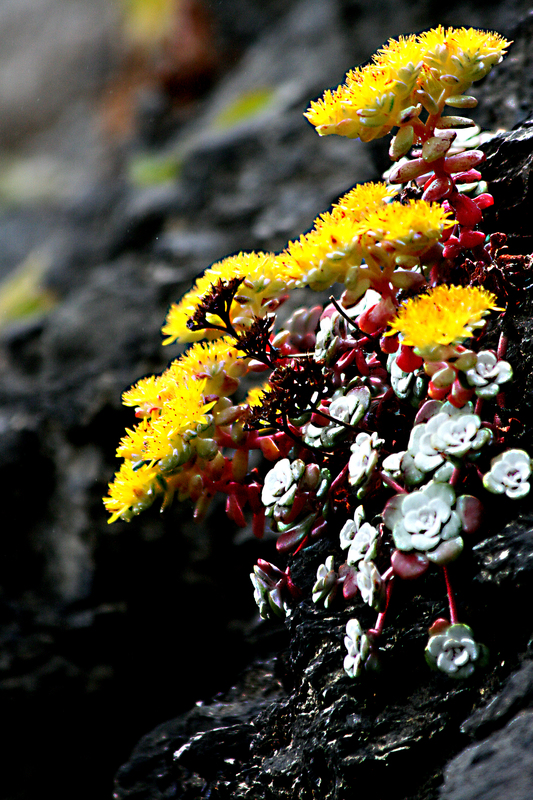 They appear to be succulents – i.e., water-retaining – explaining how they get some of their nutrients. But what of the rest? Incredible how some living things cling to life by the thinnest of threads yet still manage the energy to create such beauty.